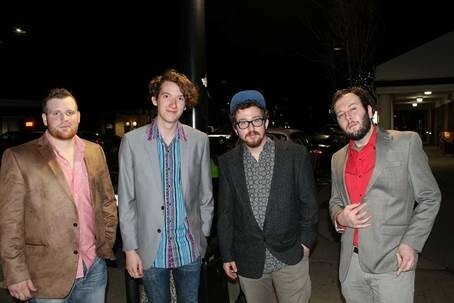 Hazy Ridge Bluegrass Band is a local bluegrass band from Clemmons, NC that was established in 2014. 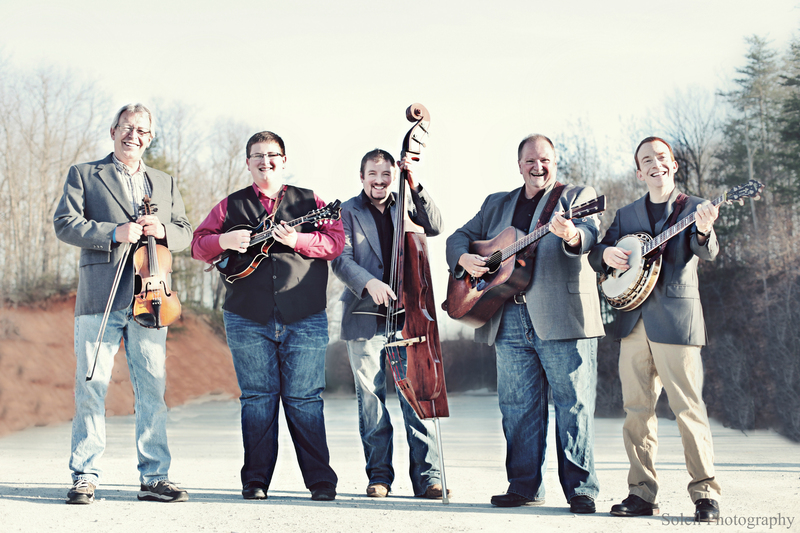 They are crowd favorites wherever they play, delivering their own heartfelt style of Bluegrass music. 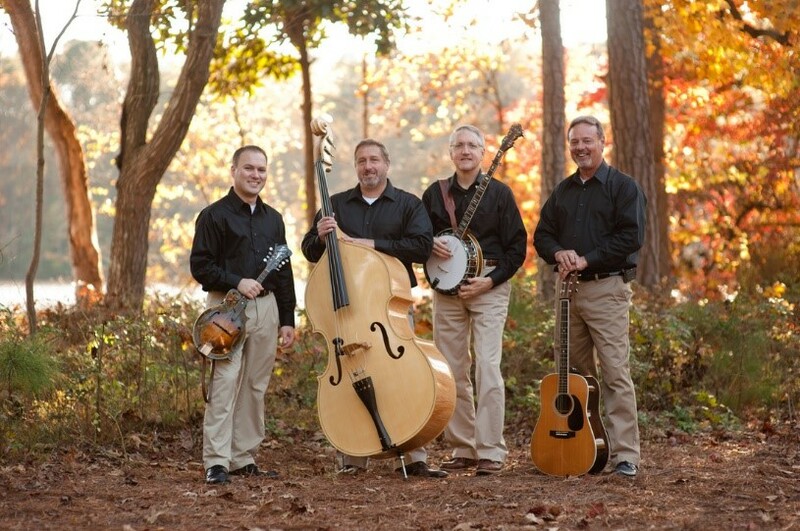 They also perform original material, Bluegrass Gospel and Classic Country with Bluegrass flair. 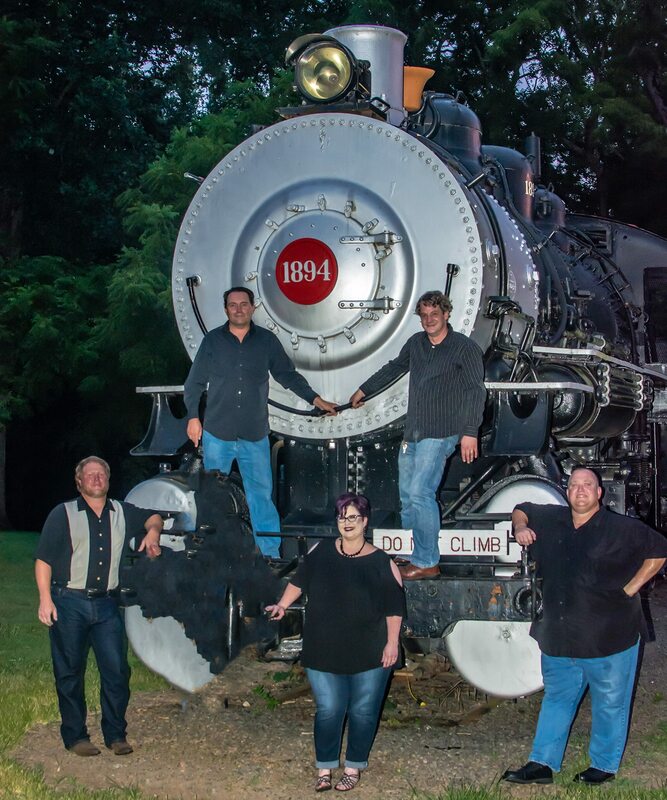 Members, Vince Myers, Dawn Myers, Reagan Hudson, Bryan Bogenberger and George Cutchins were all born and raised in NC, and though they do not all share the same hometown, they all share a love of Bluegrass music and love sharing it with their audiences! Everyone in the band loves music and any opportunity they get to play and sing. They play at local restaurants, dance halls, festivals, fiddler’s conventions, parties and Churches. Vince Myers grew up in his dad’s guitar case, figuratively speaking. He has had a love of music from as far back as he can recall. Growing up, his dad, Roger Myers, played in a few bands and Vince went with him everywhere he played. Vince took up the banjo when he was 18 and has played in several bands over the years, including Tommy Drifter and the Lost Travelers and County Line Daredevils. 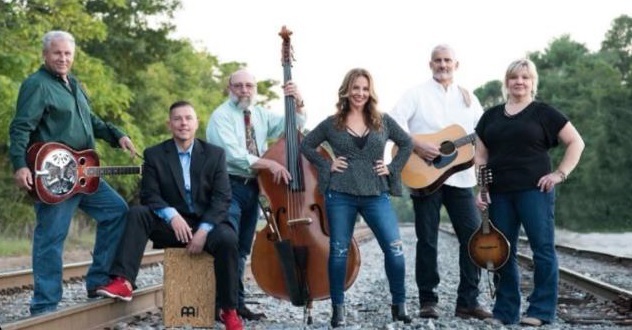 He has always wanted a band of his own, so in February 2014, he and his wife, Dawn Myers began Hazy Ridge Bluegrass Band, where he plays the banjo and helps out on vocals. He and Dawn started looking for others to join the band and even though the road has been a little rocky, they didn’t give up and have been playing ever since. Vince says he is looking forward to what is in store for the band in the future. Dawn Myers has lived all her life in Clemmons, North Carolina on her Grandfather’s old home place. Dawn developed her love of music, sitting in her mother’s lap. She would sit and listen to her Mother and Aunt singing together and making that beautiful family harmony. At age 13, Dawn began singing in church with her Mom and has sung in the choir and other church groups for over 28 years. Dawn mostly sang Southern Gospel music, but has always had a love for Country music. She liked Bluegrass music, but when she met Vince, she not only fell in love with him, she also fell in love with Bluegrass music too. She was given the chance to sing with the Howell Osborne Band and sang with them for six months. Then she and her husband Vince decided to form Hazy Ridge Bluegrass Band. They have been singing together ever since. You will hear Dawn helping out on vocals and harmonies in the band. She loves every opportunity to sing and is excited to see what the future holds for Hazy Ridge!! Reagan Hudson, singer, songwriter and guitarist, grew up on a farm in Vale, North Carolina. He still resides in Vale, where he owns a cattle farm. Reagan has been playing Bluegrass and Gospel music for over twenty nine years. He has written many songs, made several recordings and has played with many bands throughout his career like: Homegrown Bluegrass, Golden Valley Crusaders, Timber Ridge Band, and the Bluegrass Gospel Tones. Reagan currently is playing guitar and singing with Hazy Ridge Bluegrass Band. He also keeps the band and audiences laughing with his jokes and tales. Bryan Bogenberger, a Winston-Salem based multi genre mandolinist has been performing live across the southeast for the last decade. Although dabbling in jazz, rock, classical and Americana, his heart remains true to writing and playing bluegrass mandolin. Bryan has shared the stage with many national acts including Mountain Heart, Donna the Buffalo, Larry Keel, Ten Years After, Acoustic Syndicate, Reverend Peyton’s Big Damn Band, John Michael Carroll, The Carter Brothers, Yarn, the New Familiars, Possum Jenkins, Love Canon, and Crystal Bright. Bryan’s crowning musical achievement was being asked by the Winston Salem Symphony to perform for a private dinner for virtuoso mandolinist Chris Thile while Chris was in town playing his concerto with the Winston-Salem Symphony. Currently Bryan is performing with three bands. His long time Band of eight years Wyndy Trail Travelers, Justin Crisman, and his new favorite project with Hazy Ridge Bluegrass Band. Bryan’s influences include Sam Bush, the Del McCoury Band, Drew Emmitt, Miles Davis, Bill Monroe, Jerry Garcia, David Grisman, Bob Marley, Ricky Skaggs, and Bob Dylan. George Cutchins is the newest member of Hazy Ridge Bluegrass Band. He plays upright bass and helps out on vocals. He hails from Sandy Ridge NC where he has his own farm. He has been playing Bluegrass all his life and has played with many Bluegrass bands like Bobby Atkins and the Countrymen, Paula Dellenback and Fox River, Don Smith and the Foggy River Boys and Out of Bounds Bluegrass. Dawn met George through a booking Hazy Ridge had at a monthly meeting for the Sandy Ridge Bluegrass Association. Through this he found out Hazy Ridge was in need of a bass player. He agreed to help them out all he could. Five months later and he is a full time member of the band!